Norfolk Southern’s New York Central Heritage Locomotive is making a special appearance at Toledo’s National Train Day. The locomotive will be part of display equipment and will be available for photographs. Downstairs at track level, there will be quite a display. So far for this year, Amtrak has committed to sending four single level cars and a P-42. From the Wheeling and Lake Erie, we will have a recently out-shopped SD40-2 from their Brewster facility. Hulcher, who performs re-railing services for most class one lines, will have a side winder and several pieces of their equipment for viewing as well. 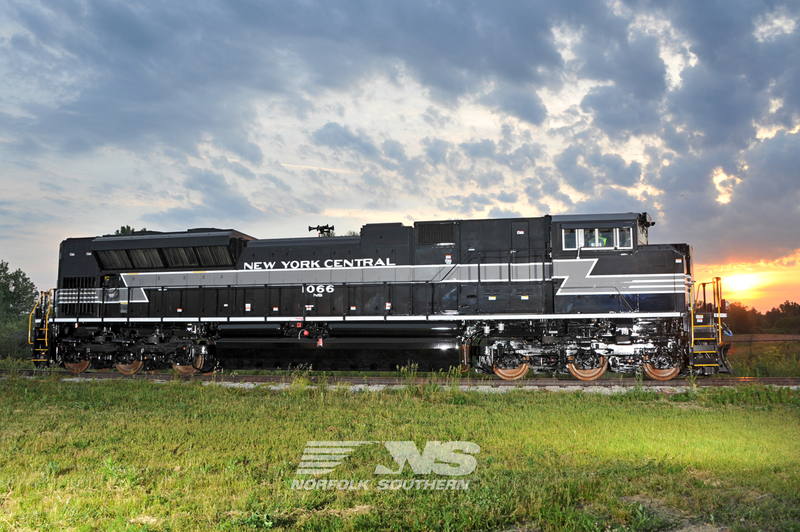 The highlight this year will be Norfolk Southern’s New York Central “Heritage” locomotive. Norfolk Southern’s CEO, Wick Moorman, has graciously granted our request for the unit. We specifically asked for that engine, considering the rich history Toledo and the NYC share together. To our knowledge, this is the first time (other than Spencer) the NYC Heritage Locomotive will be on display for the public to view and photograph. With traffic levels increasing, NS needs all of the power that they have. That being said, this is probably the only time that this engine will be available to be photographed in a former NYC station on former NYC rails. It is truly a rare occasion, one that we would like to share with all the fans of the NYC. The event will be held on May 3, 2014, at the Amtrak Station in the Martin Luther King Plaza. Hours are 9:00-4:00 and is free to the public.